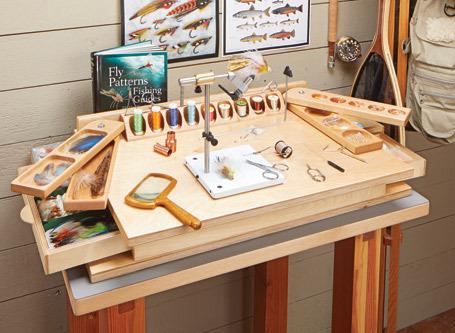 Just about every woodworker would like to build a workbench like this one. But a lot of them might be a little intimidated about building what looks like a complicated project. 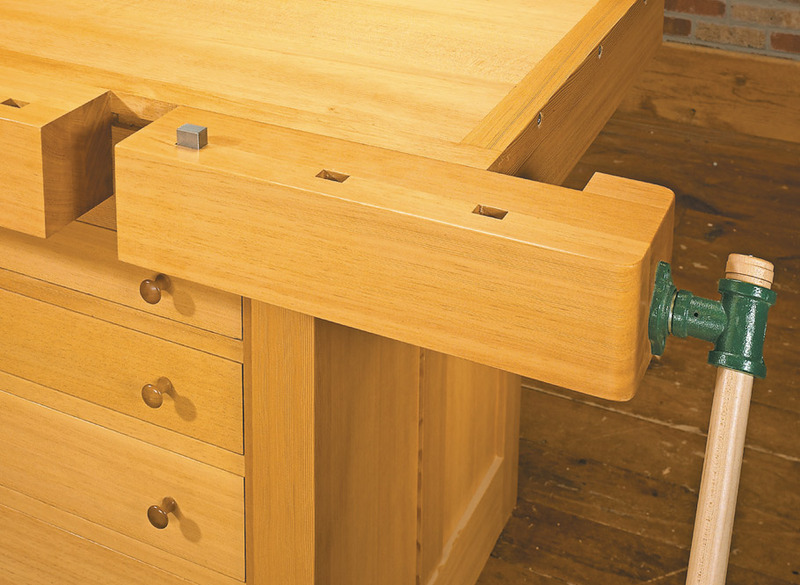 But you don’t have to worry — this design features simple solutions that make building the bench manageable. 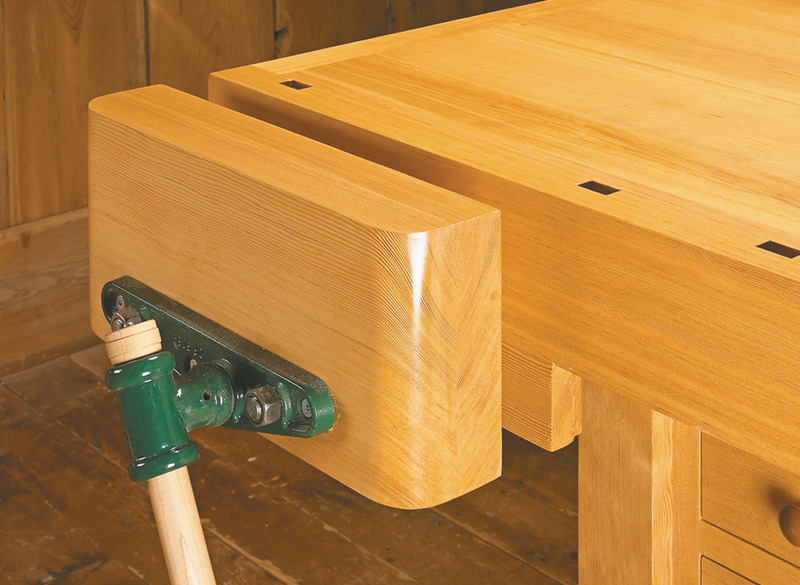 For starters, the workbench consists of a number of easy-to-build components that join together to form a solid foundation. 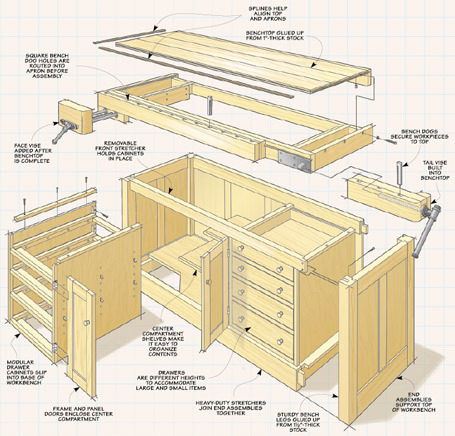 As for the cabinets and drawers, they simply slip into place. Since they don’t provide any support for the top, you can add them at any time. 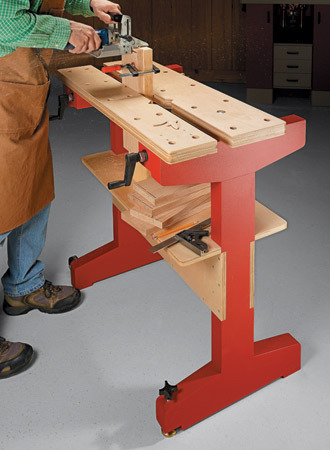 Speaking of the top, it’s not a mass of strips that can be hard to glue up and then flatten. 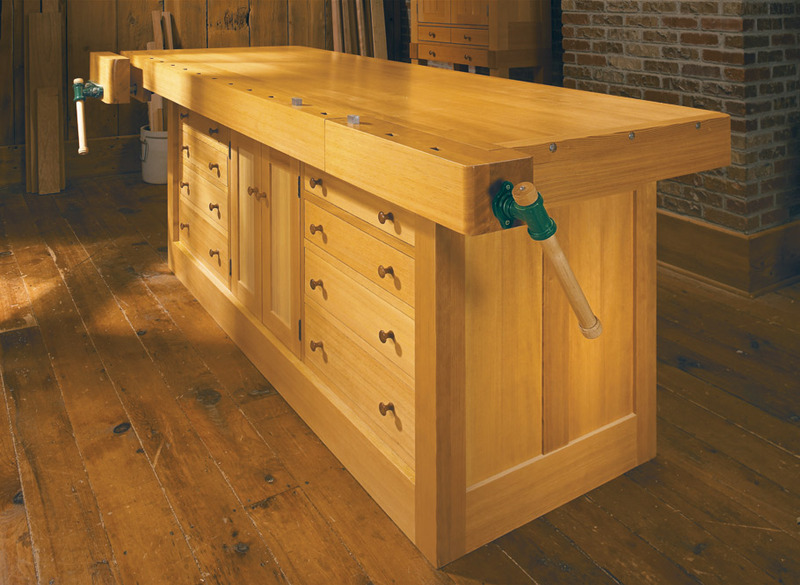 Instead, the top is just a few thick boards wrapped with a wide apron. 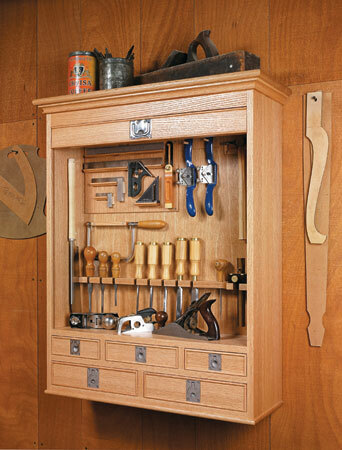 This workbench is one that will serve you for a lifetime.